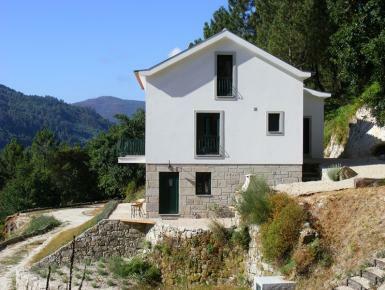 Secluded in 5 hectares of woodland and terraces giving you panoramic views to the nearby mountains. Within walking distance of Avô village with it's beautiful river beach, castle ruins and small twisty streets to explore. Numerous other small villages and river beaches close by. Only 10 minutes drive from the 1000 square km's of the Serra da Estrela (Mountains of the stars) Natural Park with amazing scenery, hiking trials, wildlife and even a seasonal ski resort. The small local city of Oliveira do Hospital is only 10 minutes drive away and has most amenities, including a cinema, museum/historical sites, numerous bars and restaurants, and a night club. If you want more we are less than 1 hour from romantic Coimbra, with it's Fado, University and a multitude of shops, bars and restaurants.